A 501(c)(3) nonprofit organization to support the Tennessee Wildlife Resources Agency (TWRA) and to promote habitat conservation, responsible land stewardship, and the preservation of Tennessee's hunting and fishing heritage. Tennessee Wildlife Resources Foundation (TWRA) is a 501(c)(3) nonprofit to support the Tennessee Wildlife Resources Agency (TWRA) and to promote habitat conservation, responsible land stewardship, and the preservation of Tennessee's hunting and fishing heritage. Preserving Tennessee’s Hunting and Fishing Heritage. Without wildlife, without wilderness, what will we lose? For centuries, these very resources have not only sustained the pioneering spirit of Tennesseans, but afforded them the means of crafting a living and a legacy. 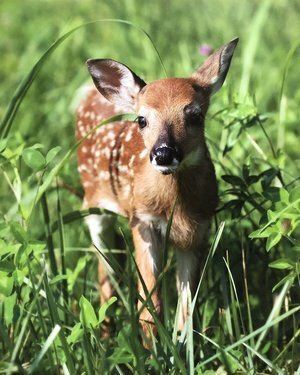 Forged as the charitable arm of the Tennessee Wildlife Resources Agency, the Tennessee Wildlife Resources Foundation (TWRF) lends strength in defending compromised wildlife and imperiled habitat. By contributing priceless fundraising efforts and targeted educational campaigns, the TWRF is poised on the front lines of a struggle to not only protect Tennessee’s resources, but the heritage they represent as well. The Tennessee Wildlife Resources Foundation, Inc. (TWRF) was established as a 501(c)(3) nonprofit organization in 1999 to support the Tennessee Wildlife Resources Agency (TWRA) and to promote habitat conservation, responsible land stewardship, and the preservation of Tennessee's hunting and fishing heritage. TWRF assists TWRA with youth education programs as well as strategic land acquisitions to provide opportunities for habitat conservation/restoration and public hunting. Through our fundraising efforts and support, we provide a synergy to help the TWRA realize its goals. We have taken great strides to organize and structure our operations in order to find the most effective ways to benefit the TWRA. If you are interested in the promotion and preservation of our hunting and fishing heritage in Tennessee, we encourage you to join TWRF and offer your support to a worthwhile cause. After all, it's up to all of us to ensure that future generations have the same opportunity to enjoy Tennessee's wildlife resources and take part in the rich hunting and fishing heritage that has been passed down from countless generations of Tennessee's sportsmen & women. To preserve and perpetuate Tennessee’s hunting, fishing and shooting sports heritage through innovative, mentor-based educational programs. To educate and engage with students interested in wildlife management careers through our Tennessee Outdoors Youth Summit Camp, providing hands-on learning that teaches the importance of natural resources management. To continue to host and support numerous free youth hunting and fishing events across Tennessee. To help high school students develop shooting skills, discipline and sportsmanship through our Tennessee Scholastic Action Shooting Program. To continue to serve as a conduit for vital wildlife disease and endangered species research. To provide special needs children with the opportunity to take part in Tennessee’s youth deer hunting season through our Young Guns Program. To offer scholarships to students interested in the field of wildlife management, ornithology and wildlife art. To provide quality hunting, fishing, and outdoor experiences for physically disabled men, women, and children, as well as wounded members of the armed forces by producing wheelchair accessible facilities in TWRA wildlife management areas throughout Tennessee. Visit our programs and events pages to learn more about what we do. Remember, if you want to help TWRA, support TWRF!